which prevented me from using the SL400-included curved boss plates. 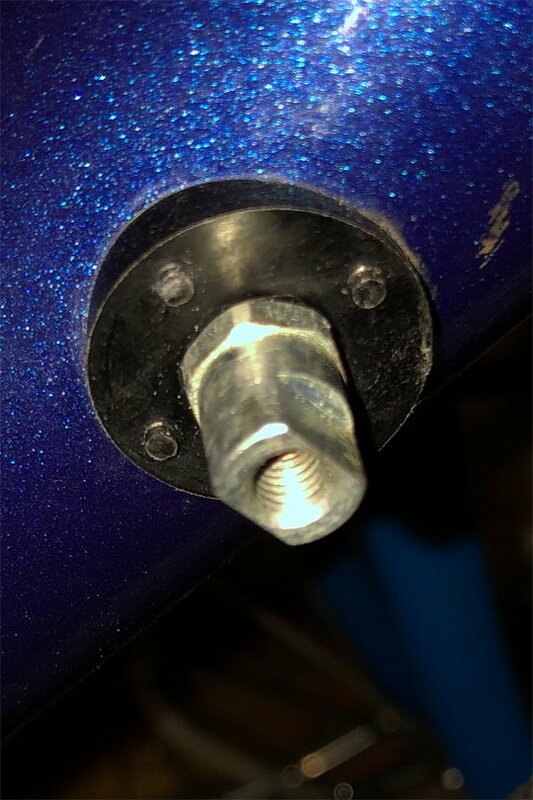 I had some flat boss plates, from a pair of bar ends (Shimano SL-BS64) I could try, they seem to fit, and look essentially to match the fronts and backs of the curved plates. I assume they are compatible? Are there any differences between right and left flat or curved boss plates? 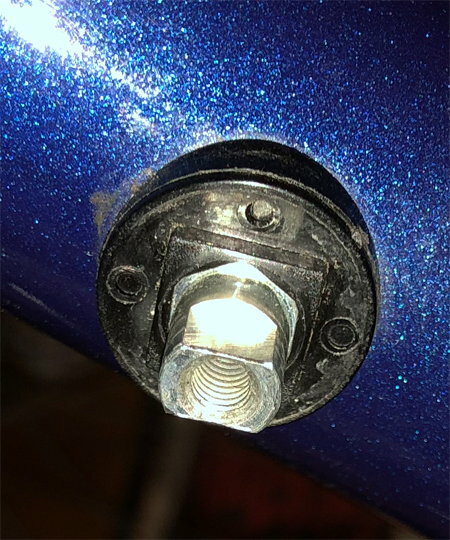 but with the flat plates that are included in the bar end / SL-BS64 kit, one boss plate seems slightly not to fit, and only fits the left shifter (the other flat plate fits both), so I assume they are different? at least with the flat plates, or perhaps something is wrong, or a manufacturing defect? I can get the left hand shifter mounted properly it seems with the flat boss plate (and this makes sense, you can see the plastic raised square on the left boss to retain the boss plate), but on the right / indexing side, the flat boss plate doesn't seem to be held in place tight like the left side ... there is no raised plastic square, but 4 small plastic pegs, I don't seem to be able to mount it to get the indexing to work (it seems to slide around and becomes loose, the boss plate is not retained). Does the right side boss look ok? It has 4 very short pegs (I see where they are supposed to be retained on the back of the boss plate). Maybe these plates are not quite right? Or maybe the pegs are too short? It did seem to work when I mounted it initially, though I never had it positioned properly, thus I kept trying and ran into this issue. Thanks for any advice from those familiar with these bosses? If I decide to run bar cons, how can I deal with these bosses to mount cable stops? I imagine I might have the same issue, if anyone has recommendations of ones that will work, I would appreciate. RL 400 8 speed shifters with original curved plates, and some flat plates from a pair of SL-BS64s. 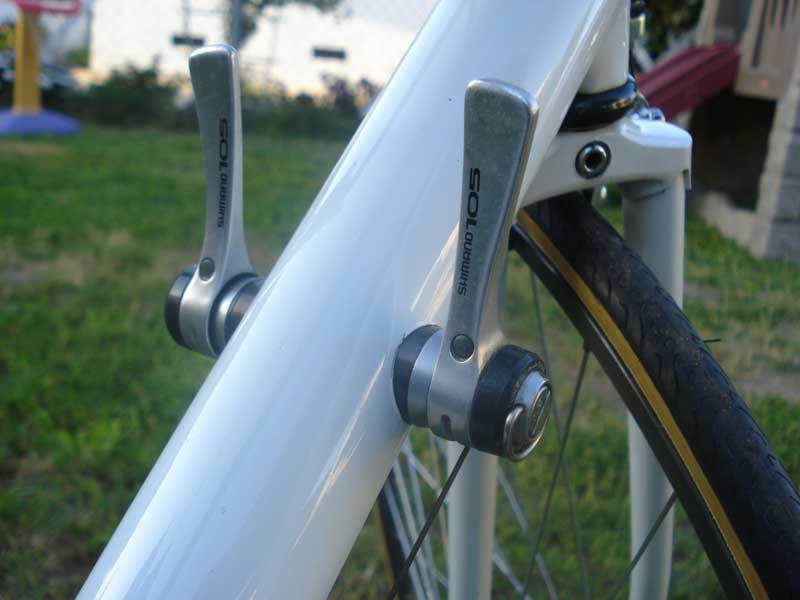 I would try the bar-end shifter plates as they are very very close in form to normal flat-back boss plate/interface/don't know the specific term but own Cannondales and thus use them. I think the only difference is the bar-end ones aren't tapered and the downtube-specific ones are. As to the boss plates, on the left side, that's a complete assembly, albeit clocked incorrectly (but you know that already). The black boss plate needs to be gently pried/popped off with a knife (I use a 3" bladed one because it's strong enough, slender enough, and what I have around) and that can allow you to re-clock it. The black boss plate holds the clocking of the silver shifter boss via the hexagonal cut-out (for the silver shifter boss) and the four short pegs (on the black boss base). The black boss plate on the right side is missing, which is why you are unable to mount things to it. The silver shifter boss is also 90° out of phase (which again, I'm sure you're aware), doubly evidenced by the faint hexagonal impression in the black boss base. This is all as far as I can tell--the alignment of things--your photos are pretty zoomed in, which is helpful for a lot, but to get the macro view, we'd need another. Question: how flush do those black boss bases (the things with the four short pegs) sit against the downtube? It seems even after re-clocking the left silver shifter boss, it would still be a little off. I've had this happen on a previous Cannondale of mine and thankfully there was a little wiggle room to get it right. Question 2: do you have that second black boss plate or is it forever lost? If you're thinking you're out of luck as those parts are firmly in the "good luck!" category, Nova Cycles Supply is going to be your best bet. My 1990 ST400 had nothing in that area, just holes where that entire assembly should have been. Per their instructions, I re-radiused the silver boss bases, and employed super glue (Gorilla Glue super glue/epoxy in one of those tiny bottles) in select places (more on that if you want help), and assembled the whole thing. It's running downtube cable stops currently, but is meant to and set up to run downtube shifters. 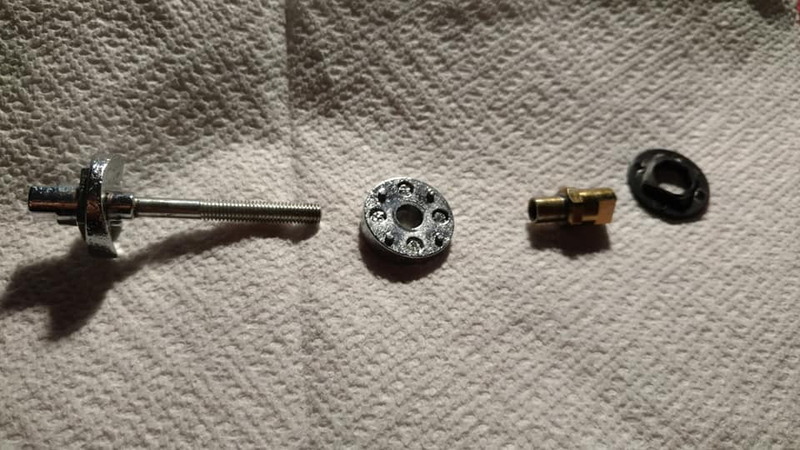 You need the black plastic parts with the square base on them, they basically make the cannondale screwon bosses just like the "standard" Campi style boss. 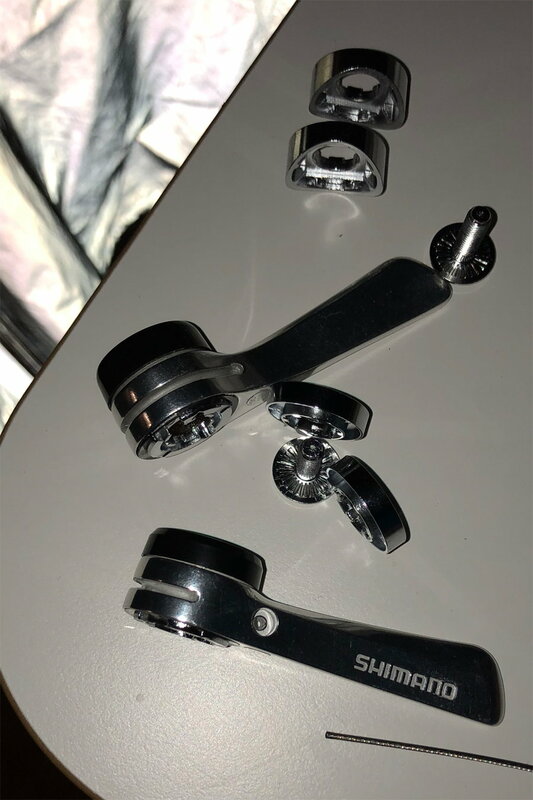 The shimano bosses need their little baseplate to hold the index mechanism in the correct place. Use the shifter backing plates with the flat backside, they are made for this purpose. If you want to use barend shifters you use cable stops you need to find housing stops with a flat back or file the ones you have flat. Thanks, this seems to be the case. I've seen both sl-6208 and sl-7800 flat boss covers for sale. I'm not sure what the difference is, or which ones I have, and would need to replace for the SL-BS64 kit, if I use them on the Cannondale? I may just leave them and buy 2 each of the sl-6208 and sl-7800 flat boss covers. I didn't know the plastic boss bases or bosses themselves were out of alignment. I had the left shifter mounted and it seemed to look and function quite normally, if maybe a little too forward. 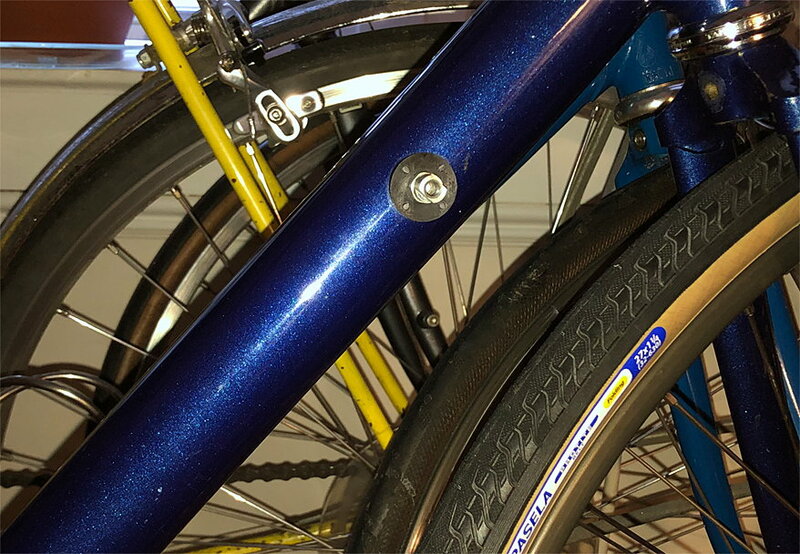 The plastic boss bases against the downtube are pretty flush. I'm a bit nervous to pop them out, and don't understand what you describe about how they keep the bosses in alignment (or what proper alignment of the bases or bosses looks like). I only have what's in the pictures. I bought on eBay, I guess the right-side boss plastic piece is incomplete (missing the square?). Do you think this is worth fixing or should I return? 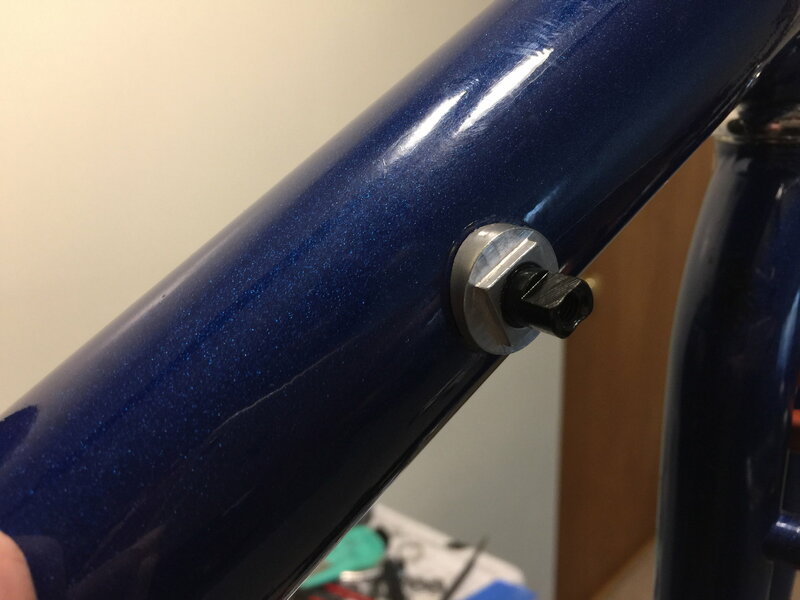 It looks like Shimano CS50 flat cable stop bosses would work if I wanted to go the bar end route (from the description for flat: Fits most Aluminum and Carbon frames with down-tube shifter bosses); but I'd likely have the same issue with the right-hand side? I guess I would like to know about your setup. Last edited by specialmonkey; 12-22-18 at 09:50 AM. Thanks for the info. Do you know where I might find the plastic parts with the base on them? I guess that's my problem in this case (one is missing the square base)? I wonder if the flat backed boss cable stops rely less on the square base being there. If that were the case, I might be better off going to bar ends. No everything revolves around or rather is held fast by that square. Post in the trade thread that you are looking for one, but you may have to trade or buy a set of bosses to get the part you want. This is the kind of stuff three d printer guys should be making. It is also the kind of thing a good mechanic salvages off a broken frame before he tosses it in the trash. Last edited by Bianchigirll; 12-22-18 at 09:13 AM. The description is interesting. Did you need to order 2? It says not sold in pairs, but is a set. ALUMINUM ROAD LEVER BOSS SET CAN BE USED FOR 6061 OR 7005. The aluminum "clams" are radiused to fit a 40.00 diameter tube, but can be used on tubes from 35mm - 44.5mm without modification. If it is to be used with a 50.8mm downtube it must be re-radiused. An easy way to do this is to use you downtube as a mandral surface and attach a piece of sandpaper with tape. Then sans the small discrepancy out of the "clams". Shipping seems high or out of whack on their site, but good to know these are available. Also, my downtube circumference seems to be about 14cm, or 44.5mm diameter, did you need to re-radius yours much? According to the description, these should work as is? What did you glue? They mention using epoxy for something. 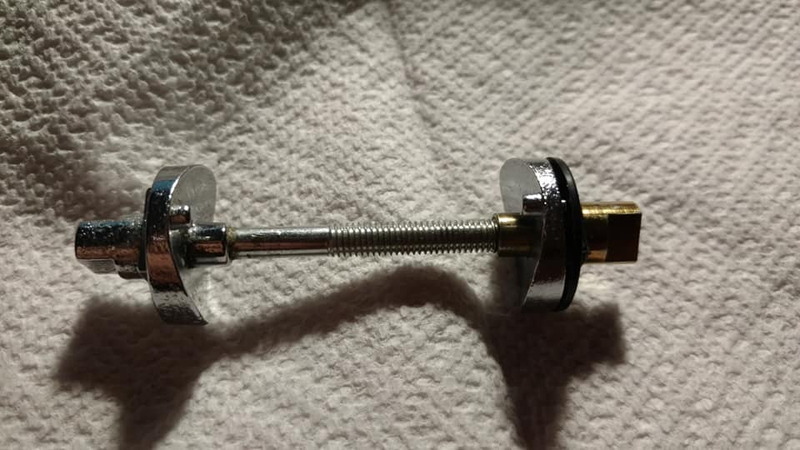 Is this to set the boss angle (place in the rod threads)? Or on the clam shape against the frame (or both)? Last edited by specialmonkey; 12-22-18 at 11:27 AM. OH now I see it. Someone put the wrong parts on this frame. One of those bosses should have square molded into the metal and you don't need the plastic piece. Actually, there were four or five different boss methods used on Cannondale frames during the 80's and early 90's. Looks like you are missing a critical piece, which as BG said is the outer layer of plastic that goes over the pegged base. The inner layer of plastic hugs the frame tube and only can go one way because of the radius (there is no correct 'up or down'). 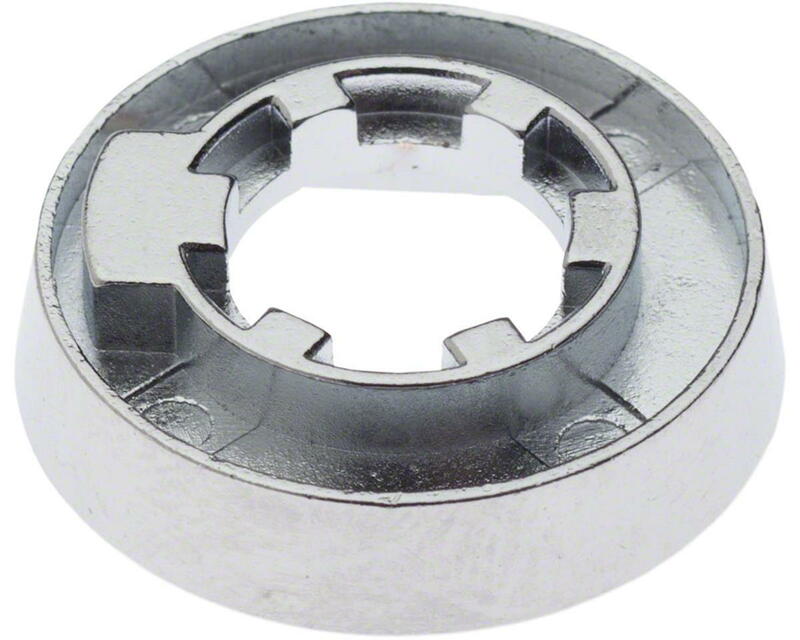 The outer layer presses down over the pegs after the metal nut has been tightened, and the outer part needs to be indexed properly so that the square section runs parallel to the downtube. When assembled properly, both sides should look like a plastic version of a standard italian style mounting boss. If you cannot find the critical piece mentioned above, let me know and I may be able to come up with something that works for that side. Those flat metal spacers from the bar ends may or may not work. In my experience, they come in two thicknesses, and I think the thick ones are too thick for the shifters to screw down tightly. 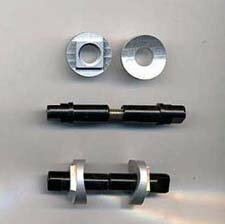 I have some of the correct flat spacers if you need them- free for the cost of postage. @specialmonkey Nova Cycles is confusing. You would just need to order one of these and the whole kit comes together. $5 or so for all of that seems super cheap, and then the shipping gets an eyebrow raise. $20 to get your bike on the road for these bikes is worth it to me, and now especially worth it as my ST400 is such a great bike. @rccardr is right, Cannondale had a few versions, which is of course the best.......... The way Cannondale coded them or rather the frame type they went on, is next to impossible to find--only a code here or there is what I've found. The picture below is what my ST400 looks like with the Nova Cycles boss kit. Notice the black shifter boss and how its 'flats' are parallel with the axis of the downtube. That's what you want. Not 30° off like on the left side of your frame, and not 90° off like on the right side. Since my downtube was/is 2.0" / 51cm I had to re-radius the silver base pieces. This is getting interesting. It seems I have at least two options. If I come across a full right side plastic boss base with a raised square, I'm inclined to install it, but option 2 is good to have. 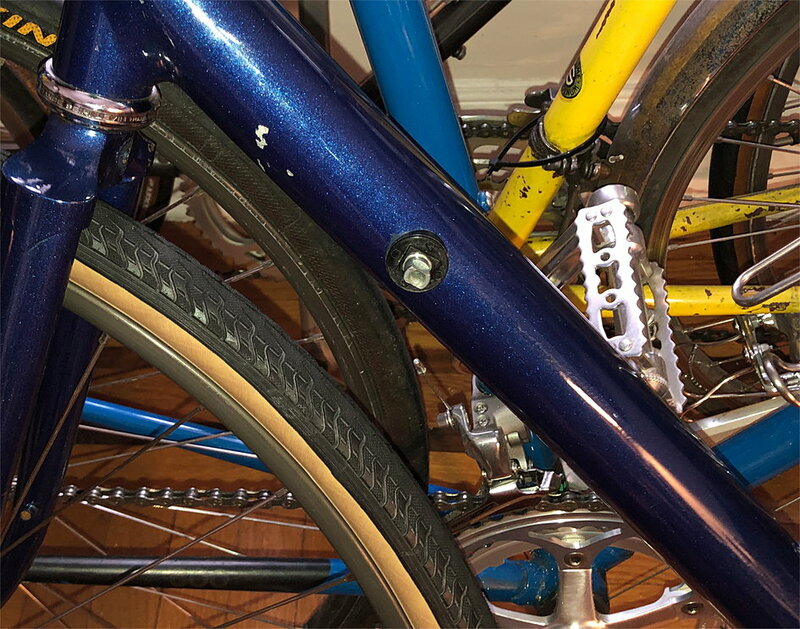 Assuming I come across the replacement plastic piece (I have a lead), what's the best way to install it, and straighten my crooked bosses, to make them parrallel with the downtube? I imagine I'll need to pop the broken plastic piece off ... but to adjust the bosses, I'd likely need to break any epoxy holding the screw threads in place ... and likely pop the good left side plastic piece off initially too? Does anyone know which boss side unscrews? Should I install the replacement plastic boss base more or less in the manner RiddleOfSteel recommends for installing the full Nova assembly? - rccardr Thanks for the info and offer of shift lever bosses, I have some on the way (SL-6208 and SL-7800) so don't think I'll need them. I may however be interested in your solution for the missing critical piece ... what do you have in mind? 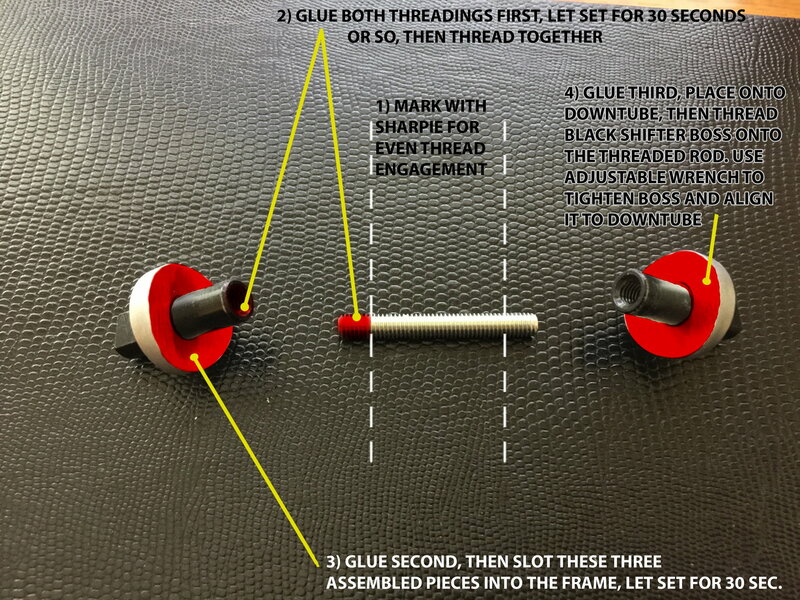 - RiddleOfSteel thanks again for mentioning the Nova kit and for diagramming the installation! - Bianchigirll thanks for you help and parts offer! I'm wondering what happened to the raised square on the right side plastic boss base? Was it resting on the pegs, or within the square those pegs make? Was it separate from the plastic part that remains? It doesn't look like anything broke off. Last edited by specialmonkey; 12-22-18 at 08:42 PM. If your lead comes through, the silver shifter bosses can b rotated easily, just remove the black boss plates on both sides. The shifter bosses are threaded, so it's no issue. I haven't run into any glue, so don't worry about it being there. Checked my Cannondale spare parts bin and nothing to help you. Sorry. I would do as RoS suggests and buy the new parts, re-radius and install. Thanks for checking, and thanks again for the information. @RiddleOfSteel I'd been confused about which part you were suggesting removing, I'd thought it was # 1 above, but that had me worried since removing those seemed destructive and would likely lead me to the option of replacing the whole assembly with the one mentioned from Nova cycles. I finally realized today maybe you are talking about removing piece # 3 in order to re-clock the bosses (you mentioned it was these that held the clocking position of the bosses)? If so, this seems much more doable.